[NaturalNews] “All skin cancer is the result of damage to skin cells,” says Lise Alschuler, ND, author of Five to Thrive: Your Cutting-Edge Cancer Prevention Plan. Skin cell damage is caused by oxidative stress from free radicals, which manifests as sunburn. It’s the same process that causes metals to rust and apples to brown. Although oxidation cannot be completely avoided, oxidation must be minimized to avoid free radical damage. Oxidative stress is both the cause and the consequence of disease. Contrary to what allopathic dermatologists recommend, a daily, moderate dose of sun without sunscreen is actually beneficial for the skin. Bare skin exposed to direct sunshine boosts vitamin D3 production in your body, but it should be moderate. 20 minutes; three or four times a week during peak sunlight hours is sufficient for most vitamin D3 requirements. Then there are supplements that can be added as well. Antioxidants are the key to reducing oxidative stress. Molecules with missing electrons are called oxidants; whose primary activity is replacing their missing electron by stealing an electron from another molecule. This, in turn, causes a molecular domino effect of oxidative stress that can lead to disease. The magic of antioxidants is the well researched fact that they can donate an electron to an oxidant without in turn becoming a free radical. Antioxidants stop the cascading free radical effect and reduce free radical damage. Minimizing free radical damage to skin cells can be boosted by the right diet. Eating lots of fresh, organic plant-based foods is the key. Plants thrive on sunlight while using their own flavonoids to protect them from excess oxidation. You can borrow those flavonoids by eating plants. A high quality multivitamin with the full spectrum of vitamin E (mixed tocopherols), mixed cartenoids and zinc would be helpful for maintaining healthy skin as well as, ironically, vitamin D3 supplements. Good fats are important. Skin cells contain fats. Avoid processed trans-fatty oils and use cold pressed virgin olive or coconut oils for salads and cooking. Omega-3 fatty acids are critical for the full spectrum of health issues. Chia seeds, ground flax seeds, and uncontaminated fish oils are good sources of omega-3. [NaturalNews] Colon cancer is the third leading cause of cancer deaths annually, a statistic that remains constant despite increased awareness of the deadly disease. Researchers from the Science and Technology Institute of Food and Nutrition in Spain have published the result of a study in the journal Molecular Nutrition & Food Research detailing the potent anti-carcinogenic effect of the natural chocolate compound, cocoa. 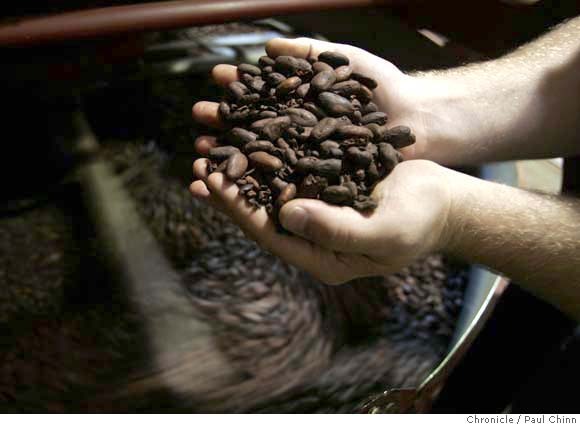 Scientists determined for the first time that regular consumption of cocoa negates the inflammatory effect of digestive oxidative stress that results in intestinal complaints and is a precursor to the genesis of colon cancer. Cocoa is now considered a superfood as it has been shown to improve blood lipids and help prevent cardiovascular disease in past research. The result of this current study demonstrates that a daily dose of the compound can help prevent colon cancer progression.